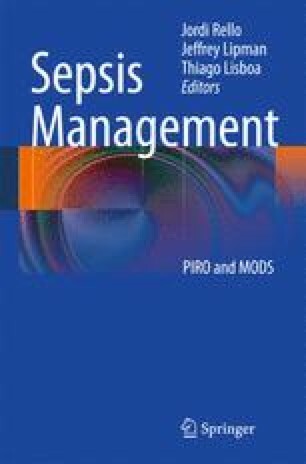 PIRO-Based Approach for Sepsis in Immunocompromised Patients: What’s Different? The frequency of immunocompromised patients has increased dramatically over the last decades. Frequently, combined mechanisms of immunosuppression coexist, and patients are at increased risk for sepsis and for infections due to opportunistic pathogens. Despite the recent evidence demonstrating improved outcomes when they become critically ill, care for these patients remains a major challenge for intensivists and infectious diseases consultants. In this sense, immunosuppressed patients, such as those with malignancies and HIV/AIDS, provide a good opportunity to validate the PIRO concept. The predisposing factors (i.e., specific immune defects, previous antimicrobial or immunosuppressive exposure), infection (i.e., microbiologic data or clinical features related to specific pathogens), response (i.e., biomarkers, imaging findings,) and organ failure (i.e., main site of clinical expression of disease and/or associated organ dysfunction) constitute the framework to refine the information about the epidemiology, outcomes, risk stratification and response to therapeutic strategies in these patients, which are essential for future research, to assist clinicians in decision-making, therapeutic tailoring, and patient and family counseling. Financial support:Dr. Soares and Dr. Bozza are supported in part by individual research grants from CNPq.